Why are you doing a CPE program? I’m having a break between university and high school and thought it would be good to have an exam at the end of the break because I will start to study Biology when I return and I think that it’s quite important to have English skills for Science Industries. Why are you doing it in Australia? I wanted to spend some quality time in Australia. I like the idea that Australia seems so far away from Switzerland. It seemed a waste to go for a short holiday because of the distance between the two countries so I chose to come as a student to have a long visit. What will you use your CPE course towards? I hope I can use it to study in other countries like America and England and afterwards, I could use it to help me find a job in science. 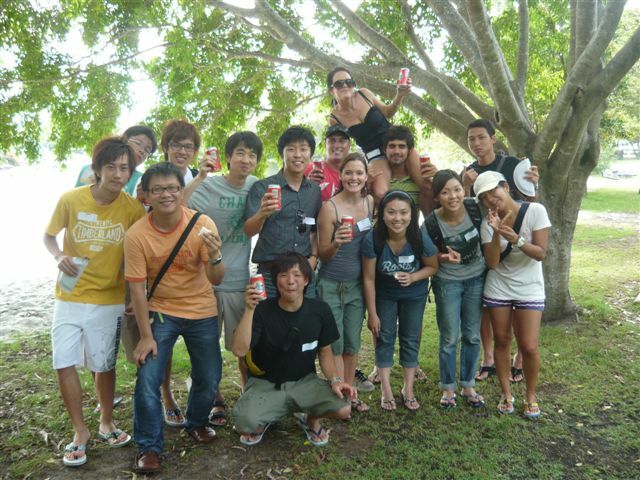 Do you enjoy the CPE course at Global Village Noosa? Yes I enjoy it but it’s quite hard. The exam questions are quite difficult but we are being prepared well. 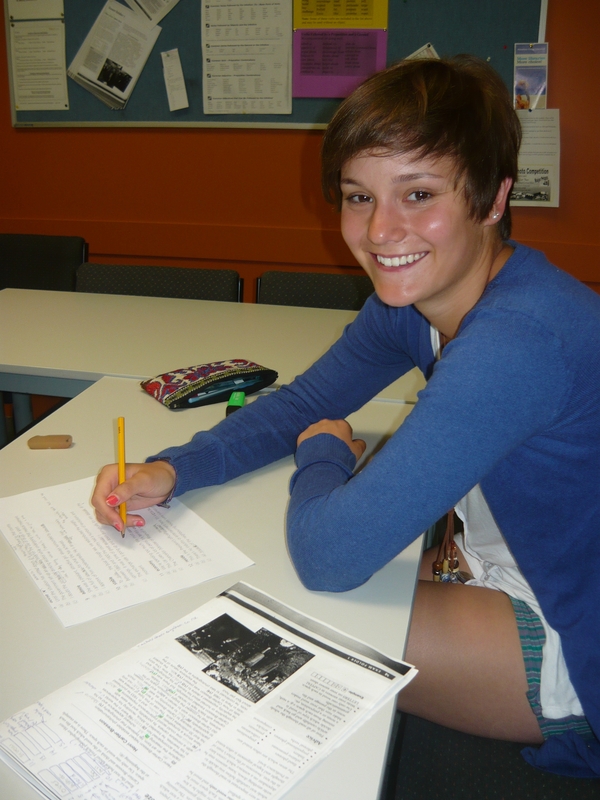 What do you like most about studying in Noosa? I like the fact that you can go to the beach after school or just spend a relaxing afternoon or evening with friends somewhere. Thanks Rahel and good luck to you and all your clever classmates. Students were delighted to hear about future study options from the University of the Sunshine Coast and Sunshine Coast Institute of Tafe information workshop this week. 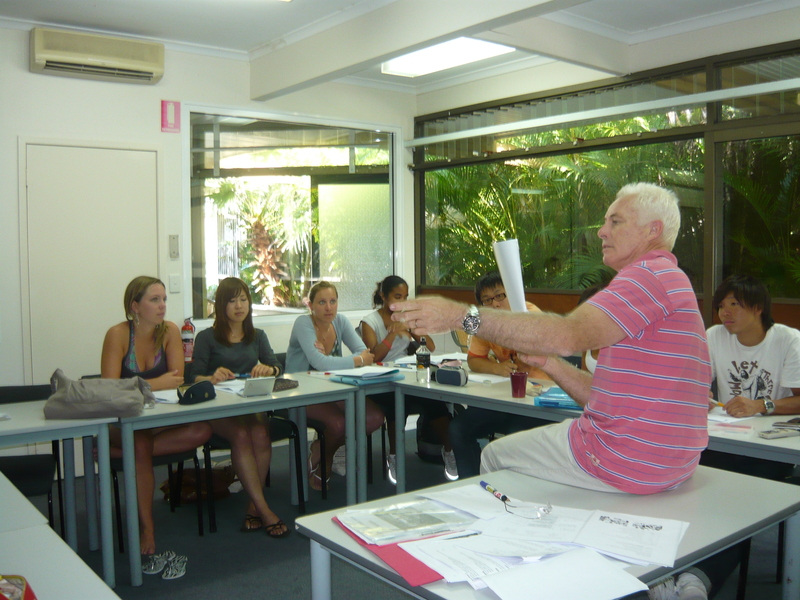 The seminar was valuable to students who wish to continue with their studies in Australia on the Sunshine Coast to specialise in specific faculty courses and degrees . We would like to thank guest speakers, Trent and Katie for their information, time and hacky sacks. Lots of equipment to borrow! Did you know you can borrow all sorts of items from the school? DVDs, Playstation 3, Singstar Karaoke, ping pong equipment, volleyball nets, volleyballs, soccerballs, basketballs, cricket sets, tents, air mattresses, arts and crafts materials, board games and poker tables! You’ll need to bring your student card to leave with Carly. Our innovative Work Shop program helps our students find jobs as quickly as possible. Studying can be so stressful at times. Sometimes peace of mind is what we are all looking for. GV teacher Zoe prepared an hour of Yoga relaxation to help some of our students unwind this week. Yoga has become very popular on Tuesday’s in room 10 with Cambridge English teacher Zoe. We could say she has started a new trend at school seeing so positions are filled every week. On Wednesady Zoe held a Yoga session in the common room for students to participate and learn more about breathing, body movement and relaxation. Zoe says, “The benefits of Yoga will increase your longevity. I believe the student’s keep coming back each week because it makes them feel so good”. After 45 mins of interesting postures and movement, Zoe led the students through a tranquil meditation to complete the Yoga session. Zoe says, “This is a very important part to any Yoga session”. The students will be able to use what they have learnt about Yoga at school in their own home environments or natural surroundings to unwind and relax whenever they like. Wow! The Photo Competition entries are looking great! Dont forget there are heaps of prizes up for grabs. 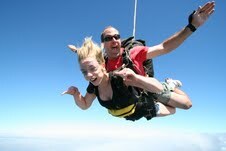 One of our lucky winners will take home a FREE Skydive courtesy of Tribal Travel. That’s exciting! This weekend is a good chance for students to take some creative photos to enter the comp. If you are going on a Tribal Travel Tour this weekend dont forget to take some awesome pics on your tour and enter them into the Best Tribal Travel Tour category! The winners will be decided by our panel of 5 judges, Paul Smith (professional photographer), Kayley (Tribal Travel Tour Operator), Teacher Zoe, Teacher Rachel and Our Mystery Judge. Get your entires in quick, there’s not much time left before the Photo Competition Presentations on Friday the 30th of April, 2pm in the kitchen. I will be accepting entries up until 5pm Wednesday the 28th of April. We will be displaying all the entries on the Big Screen in the kitchen area. If you have no entries in the competition come along and support your friends! 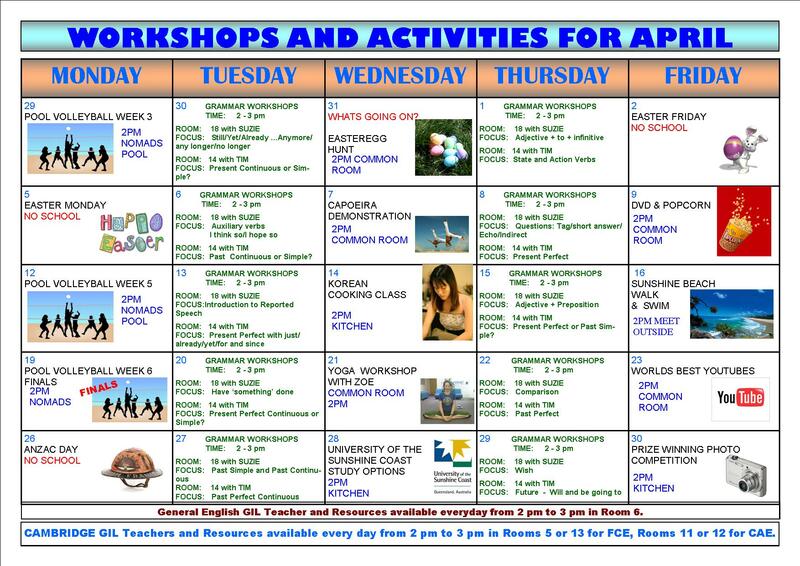 Students please take note of the Activity changes for next week. University of the Sunshine Coast (USC) will be visiting the school on Wednesday 28th of April at 2pm to speak with you about further University and Tafe study options. The Photo Competition will now be held on the 30th of April on Friday at 2pm. There will be no Guitar Hero Competition this Friday. For any further enquiries please talk with Nadia. 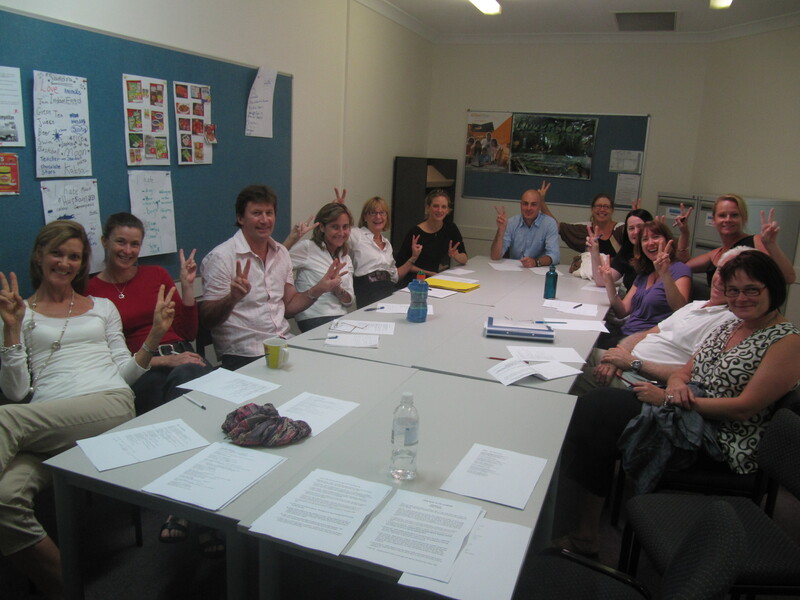 GV Noosa teachers are always keen to improve their teaching and learn from each other. 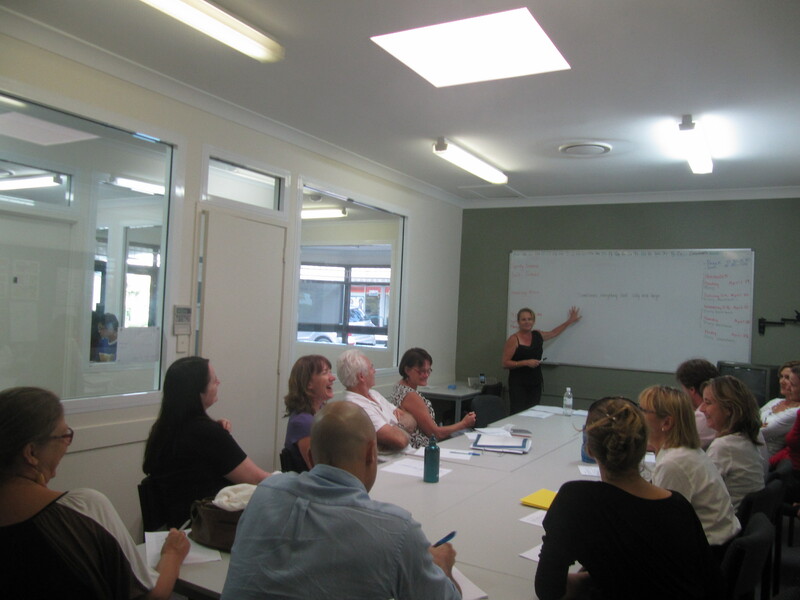 Dionne was a great teacher and everyone felt it was a valuable session as well as fun. No wonder her students love her. Thank you Dionne. Noosa isn’t all surfing and beach walks as this photo of our after school soocer group shows. Thank you Alisa for being such a great soccer coach as well as a Cambridge teacher. Alisa is bottom row, second from the right! Next Wednesday, April 28th there will be a special information session for all students on study options at University of Sunshine Coast and Sunshine Coast TAFE colleges. UNIVERSITY of SUNSHINE COAST offers a quality educational experience where innovative courses are taught by highly qualified staff on a modern campus with excellent facilities. Choose from over 100 modern degree programs in Arts, Social Sciences, Business, Science, Heath or Education. Enjoy an international experience and earn an internationally recognised Australian Government University degree with University of the Sunshine Coast. 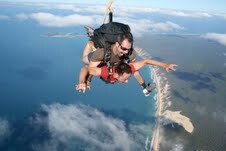 Located only 1 hours drive from Brisbane and 10 minutes from beautiful beaches. Enjoy ‘The Best of Both Worlds’. 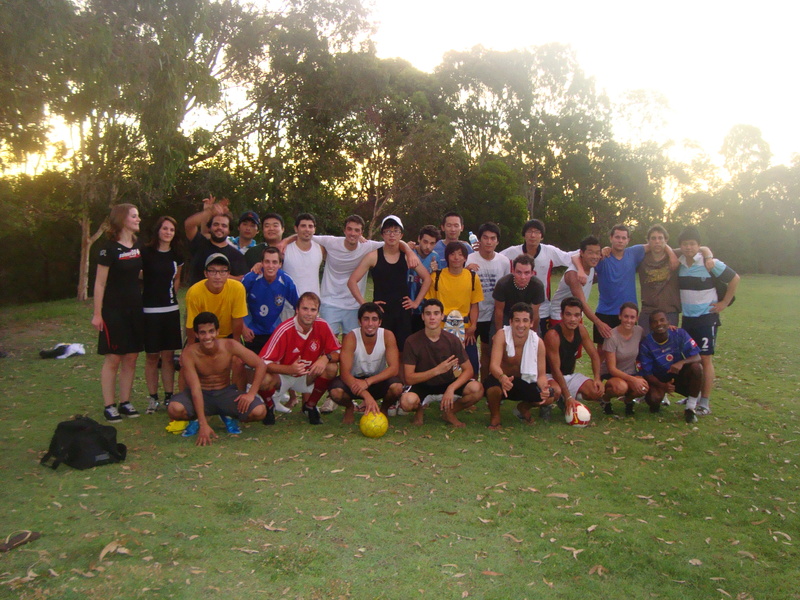 We have exciting International programs attracting students from over 40 countries. With a dedicated international team you will have the opportunity to study a wide range of programs that will provide you with the opportunity for further study, employment and university entry. 2 pm in the kitchen area. See you all there. 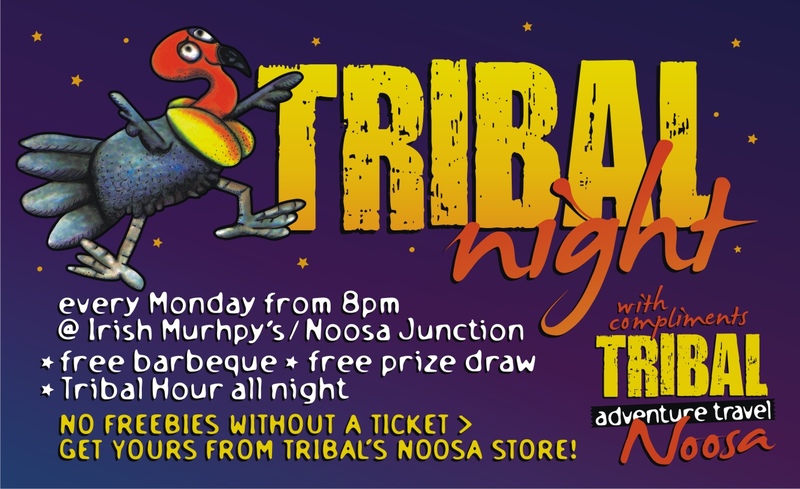 HAVE YOU CHECKED OUT TRIBAL NIGHT YET? If not, WHY NOT ?? !! Come along and join in the fun. 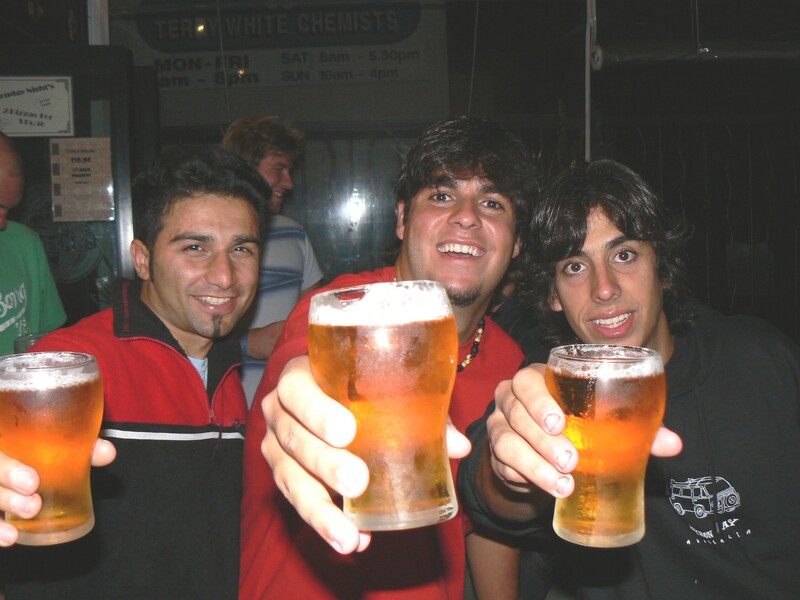 The night is popular with students, local and backpackers. Bring a group of friends, or just come along and meet people. 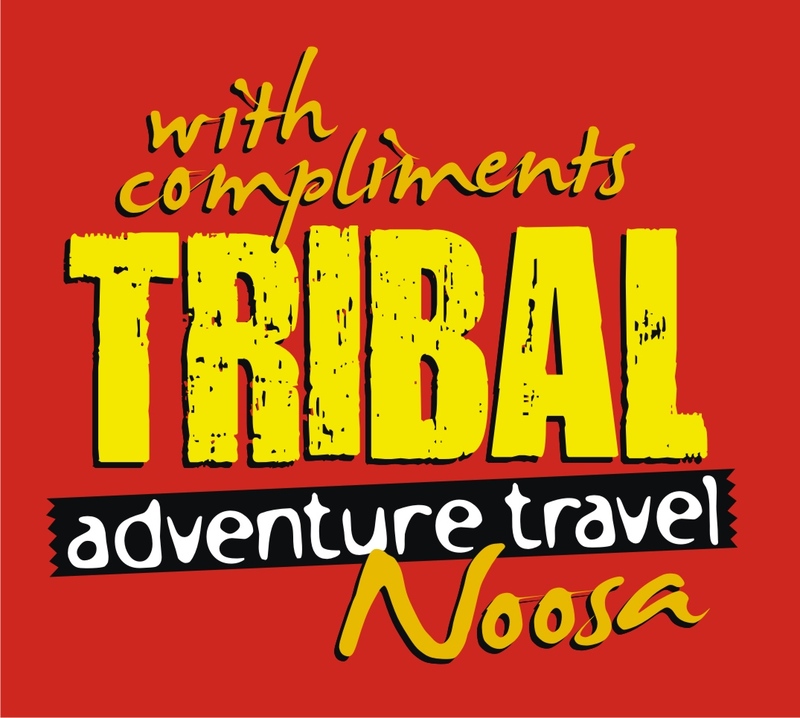 Pop into the Tribal Travel shop in Noosa Junction to grab your ticket. We look forward to seeing you there. (Over 18’s only). The Noosa Audi Food and Wine Festival needs student workers between 28th April and 2nd May. Plenty of jobs available, see Nadia for details and to make a placement. The Drama Option class is so popular that we had two groups this round. Thank you to all the students and their teachers, Shannon and Tim for entertaining us so well on Friday afternoon. Well done everyone! 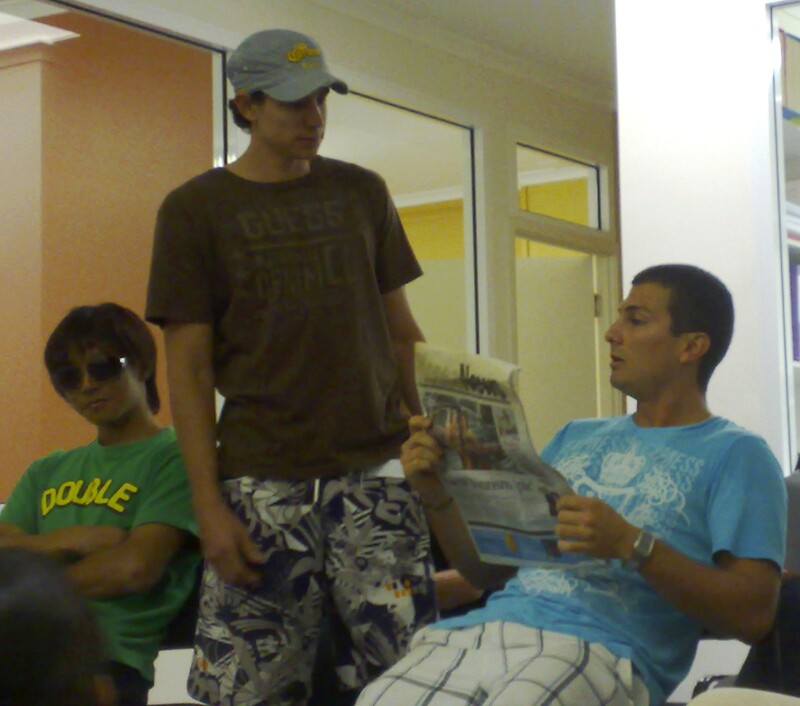 Drama is a great way to improve your confidence in speaking English and your pronunciation. Shannon and Tim say that the students learn lots of new vocabulary and tend to remember the new words more easily as they are learnt in context. The teachers start with small role plays and fun games so that students feel relaxed and are not nervous. Sandra’s class had a love vs hate experience with food today! Everybody knows that if you want to experience what it’s like to be an Aussie, get yourself a jar of vegemite and use it as a ritual ingredient at breakfast, when you’re hung over or when you’re lacking that important source of vitamin B from your diet. 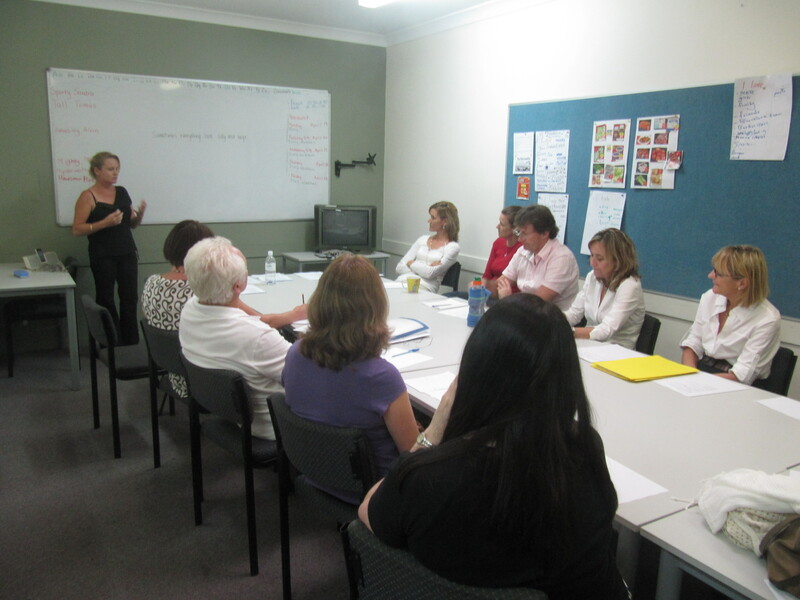 Sandra gave her students a taste of what its like to be a ‘happy (or unhappy) little vegemite. We all enjoy our vegemite for breakfast, lunch and tea. It puts the rose in every cheek! 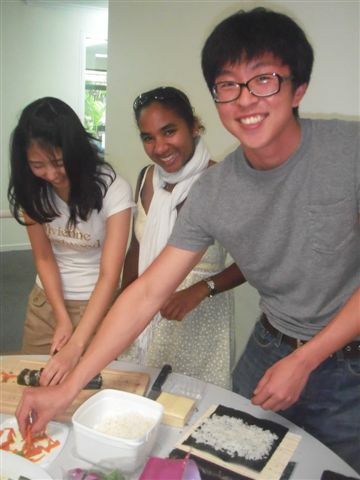 Today students gathered around in the kitchen to get a very special taste of traditional Korean recipe, ‘Kimbob’ prepared by our popular students, Melissa and Ross. Kimbob is similar to Japanese sushi. Japanese tend to use raw fish as a base meat whereas Koreans sway to using beef and tuna fish. The Kimbob we tried today was referred to as ‘Cheese Kimbob’ because artistic chefs Melissa and Ross chose to add cheese singles into the Kimbob rolls. It is important to remember to buy medium rice for this recipe and have a rolling mat handy to roll a perfect cylindrical Kimbob. It was an overall success, very tasty and will be an excellent choice for your next dinner meal. Thankyou Melissa and Ross. Excellent work! 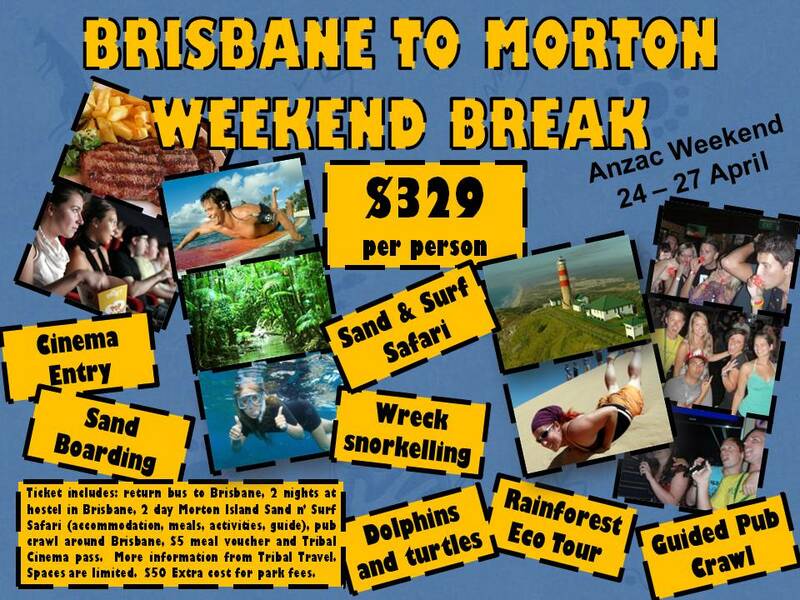 Tribal travle will visit the school Tuesday to help you with planning your Anzac Day Long Weekend! Dont forget to try one of the traditional Anzac Day Cookies courtesy of Tribal Travel. 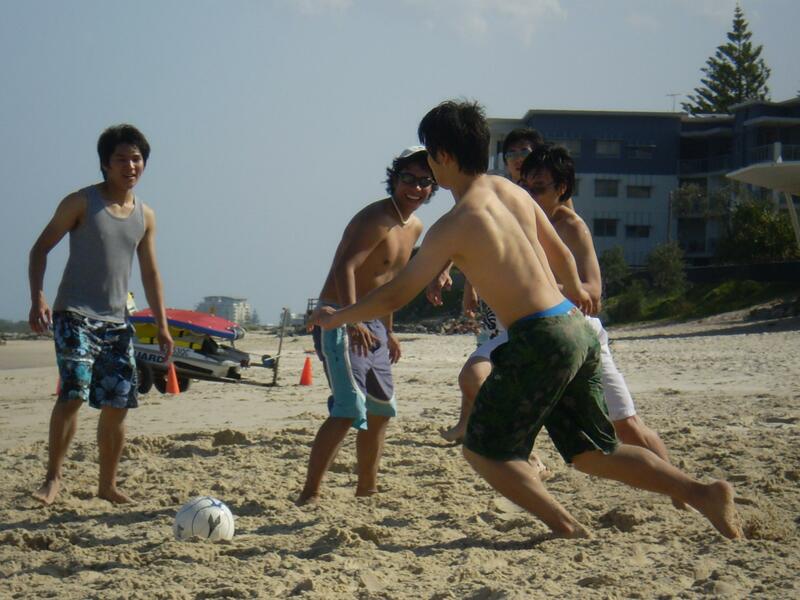 We welcomed a whole posse of students from IAE Brisbane on Saturday and gave them the unique ‘Noosa’ experience. Brian began in the general English classes and after attending an ‘Intensive Cambridge Pre-course’ late in 2009 decided to join the Cambridge First Certificate (FCE) course. “I was very nervous when I took the entry exam and was delighted to get into the course“ said Brian. After completing the FCE course he is now studying in the Cambridge Advanced Course, (CAE). 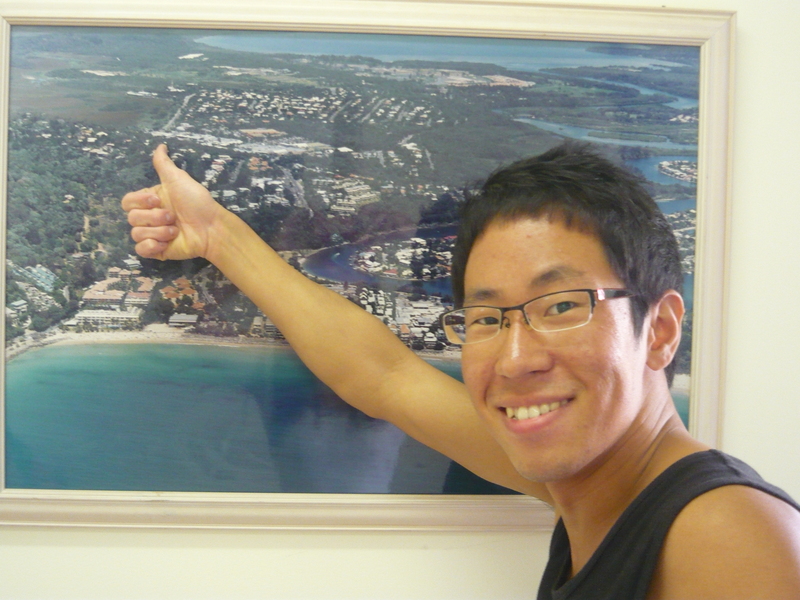 Thank you Brian…we are glad that you are enjoying your ”life in Noosa”. GV students Johnny and Ananda perform traditional Brazilian Capoeira with dance, fight, body and soul. Nadia realised that wearing a skirt to College today was not such a good idea. Capoeira involves high kicks and leggy tricks which a pair of pants are highly recommended for wear (not a skirt). Students gathered in a circle to observe the fine art and high energy performance by Ananda and Johnny who took centre stage, as martial art experts. As the traditional Brazilian music played from Johnny’s iPod, movement took place and the a chant of student clapping hands filled the common room. The teachers were gradually drawn to the ritualistic atmosphere of rhythmical spirit and shared the entertainment for the afternoon. Followed by their performance, Johnny and Ananda gave students the opportunity to learn some capoeira moves. It was an exciting way to finish school for the day and we hope to see more Capoeira Demonstrations in the near future. A big thankyou to Johnny and Ananda for their outstanding efforts! Students its time to get creative with your cameras and enter your prize winning photographs into the biggest Noosa GV comp of all time. There are four categories in which you may enter. You may enter as many photographs as you like. 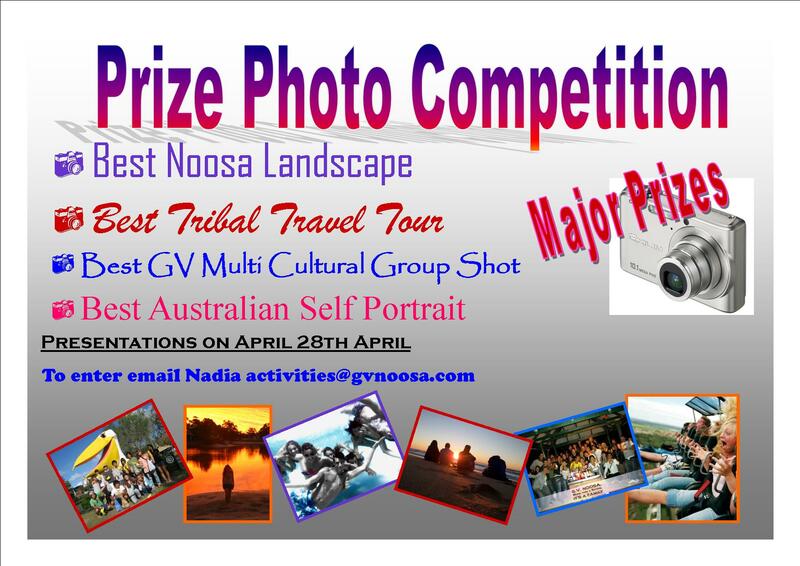 If you do not email your photographs to activities@gvnoosa.com by April 21, you will not be included in the competition. Major prizes will be given away to the winning photographs which will be decided by a panel of teachers on wednesday the 28th of April. Best of luck to all our entries! 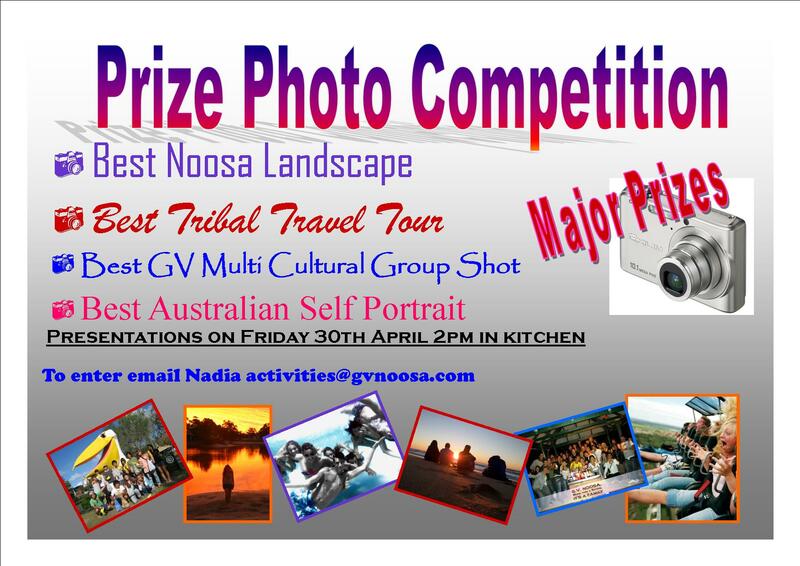 Email Photos to activities@gvnoosa.com to enter. When I received a phone call from Jenny requesting for a student to help teach her Portuguese for her Brazilian travels, the first person to come to my mind was outstanding student Rafael Sobrinho. What can I say, Rafael is always there to help me with computer commands and program information, he helps me with my own English language and grammar (quite embarrassing really being an Australian myself). Whenever students need help communicating messages because they’re new at the school, Rafael is right beside them as an interpreter and he is always asking if he can be of any help. He is very handy to have at the school and was definitely the right person nominated to teach Australian resident Jenny Morris, Portuguese for her multiple visits to Brazil for healing practices. It just goes to show how well Rafael is doing with his IELTS Course. If his English language was not up to scratch, communicating Portuguese with Jenny would be extremely difficult. He thinks it would be impossible. Jenny will be attending our school for regular Portuguese lessons with Rafael before and after her trip to Brazil in June. If you see her around the school please make her feel welcome.